We're back with another interview, this time with our incredibly talented Lead Developer Angeline. Hi Angeline! What’s new with you? Angeline: I survived the darkness of the winter and now I’m enjoying the sunshine, thanks for asking! At home, I’m currently working on a new jigsaw puzzle called Cats in Paris after completing Hell and Heaven, which I almost gave up with because I thought I had lost the last piece. But luckily it turned up when I wasn’t looking, which only goes to show that my motto is true: “If you can’t find it, it will find you”. Other than that, I’m planning for my next adventure to Cappadocia, Turkey in June. How did you end up at Luxus Helsinki? A: I graduated with a Bachelor in Media Innovation (major in Advertising) from Multimedia University Cyberjava Malaysia. Back home, I used to work in the creative / design field and as my first job, I was working as a Designer for an in-house interactive magazine. Fate brought me to Finland to work as an au pair for a great family. 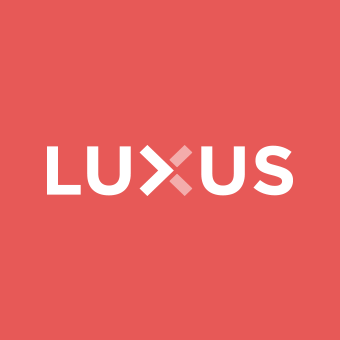 As a foreigner, finding a job in Finland is not that easy so I was really happy to have been given the opportunity to work at Luxus as a CMS operator back in the Nokia days. Along the way, I learnt a lot and I’ve been constantly working to become a better front-end developer. A: My role has changed throughout the years, evolving around different client projects. I’ve mainly worked in front-end development with occassional projects in banner design and flash production. Currently, as a part of the EMC retainer my job is to oversee the team by delegating tasks and integrating the team's workflow with best practices and EMC's brand guidelines. Aside from coding, I take part in technical planning and task estimates for our global clients. What’s the best part of your job? Are there any challenges? A: I was surprised and overjoyed to be recognized as the first URHO (an internal award at Luxus). It definitely boosted my self-confidence! On the challenge side, it would probably have to be leadership. Trying to balance between being a strict and a fun leader requires practice and time to master. And of course, keeping up with ever-evolving web technologies can sometimes feel overwhelming but the good news is that these challenges have taught me a lot both socially and technically. During the past eight years at Luxus, what has been your favorite project? A: There have been many, but if I had to choose one it would be the Iittala Spring campaign back in 2011. It was my first independent project – it went really well and the site turned out beautiful. That was a big achievement for me personally. What’s your favorite thing about Luxus? A: The moment I started working here, I felt welcome. And since we are such an international family, I fit in just right. On top of that, the people here are extremely helpful and talented, and I feel like there’s always someone I can turn to if I need advice. The trust, freedom and encouragement for self-development are among the things that make Luxus such a great place to work. And of course, our fluffy office dogs make every day so fun. When you started programming, the field was heavily dominated by men. How do you think that things have changed since? A: It still is a male-dominated field. But that shouldn’t stop anyone from going after it, if that’s what they want. The good thing about free education is that anyone can train to become a good developer, as long as they have the motivation. And even if they don’t, practice makes perfect – along with Google search. A: I’m trying to get back to my design roots so I'm taking online courses in UX/UI. I also wouldn’t say no to relocating to one of Luxus’ global offices if the opportunity arose.